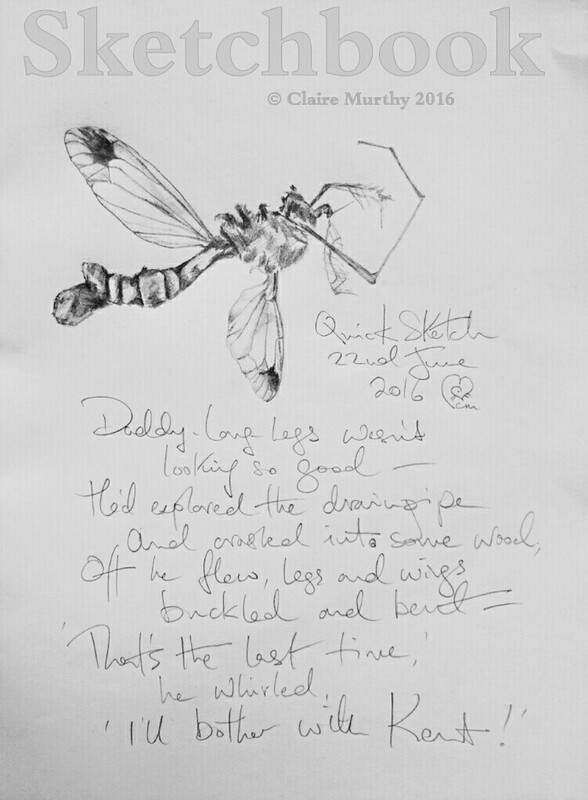 A nature sketchbook can help record interesting detail about wildlife discovered in and around the garden. 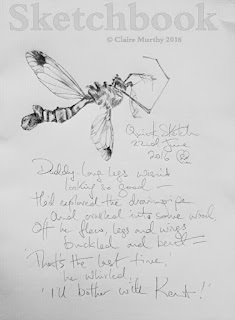 After yesterday's discoveries from the box found at the end of the garden, I made a start this morning with a quick sketch of a damaged cranefly. This was quite an interesting exercise - usually we glance such creatures and don't really know how they look, how they are 'put together' - in detail.